On June 28, 2018, the Treasury Department’s Office of Foreign Assets Control (OFAC) published the Global Magnitsky Sanctions Regulations (the “GloMag Regs” or “Regulations“), pursuant to the Global Magnitsky Act and Executive Order 13,818. The GloMag Regs entered into force on June 29, 2018, the date on which the Regulations became effective, and are codified at 31 C.F.R. 583. Under the GloMag Regulations, the “term foreign person means any citizen or national of a foreign state (including any such individual who is also a citizen or national of the United States), or any entity not organized solely under the laws of the United States or existing solely in the United States, but does not include a foreign state.” 31 C.F.R. § 583.305. As explained by MassPoint PLLC in an earlier installment of the Firm’s Global Magnitsky Sanctions Series, the Global Magnitsky Act employs the same definition of “foreign persons” (notably, EO 13,818 does not define “foreign person”). A “U.S. person means any United States citizen, permanent resident alien, entity organized under the laws of the United States or any jurisdiction within the United States (including foreign branches), or any person in the United States.” Id. at § 583.314. As the definitions of “foreign person” and “U.S. person” indicate, U.S. multinationals and dual citizens qualify as both classes of persons. Their status as “foreign persons” under the GloMag Regs is substantively significant. As “foreign persons,” U.S. multinational companies/entities, as well as U.S. dual citizens/nationals expressly have greater sanctions exposure under the Global Magnitsky Act and the GloMag Regs, both of which subject “foreign persons” or non-U.S. persons to liability for the entire range of corrupt acts, human rights abuses and acts of facilitation that they, along with EO 13,818, target. 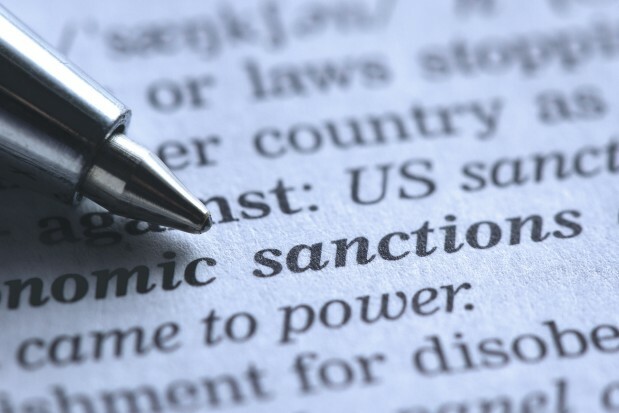 U.S. multinational companies/entities as well as dual citizens/nationals should understand their heightened sanctions exposure under the Global Magnitsky Act, EO 13,818 and the GloMag Regulations. Multinational companies/entities would be well-advised to update their risk-based compliance programs and educate their relevant personnel to make compliance more likely, including by avoiding inadvertent violations of the Global Magnitsky Act, EO 13,818 and the GloMag Regs. For more information about the U.S. Global Magnitsky Sanctions framework, how it has been applied thus far and what can be reasonably expected, contact the Global Magnitsky Sanctions Series author, Hdeel Abdelhady. Please also contact Ms. Abdelhady to inquire about MassPoint’s Global Magnitsky Sanctions, OFAC Sanctions and related regulatory counseling and compliance and international business services. U.S. Lawmakers Raise Possibility of Magnitsky Sanctions on Chinese Officials, Magnitsky Laws and Sanctions Update, April 21, 2018. Congress Members Urge Trump Administration to Apply Global Magnitsky Sanctions to Sudan, Magnitsky Laws and Sanctions Update, April 14, 2018. Some U.S. Individuals and Entities Have Direct Sanctions Exposure Under Global Magnitsky Sanctions, No. 5, April 10, 2018. Departing from Prevailing Legal Standards, United States Directly Sanctions Foreign Government Officials for Corruption, MassPoint Magnitsky Series, No. 4, April 6, 2018. How the Trump Administration Supercharged Global Magnitsky Corruption and Human Rights Sanctions, MassPoint Magnitsky Series, No. 3, April 3, 2018. From Sergei Magnitsky to Global Magnitsky: United States Asserts Universal Jurisdiction Over Corruption and Human Rights Abuses, MassPoint Magnitsky Series No. 2, March 27, 2018. New U.S. Sanctions Are a Powerful Weapon Against Corruption and Human Rights Abuse Worldwide, MassPoint Magnitsky Series No. 1, March 5, 2018. U.S. National Security Strategy Targets China’s Dominance, Corruption in Africa, MassPoint Occasional Note, February 25, 2018. Previous PostZTE: Was the Export Ban the Right Penalty?